The head of the Russian antivirus specialist’s South Asia operations talks to RIR about the company’s experiences in India and plans to tackle piracy in Asia. Kaspersky Lab has been the pioneer in advocating the use of licensed software in India. While many Russian high tech companies had to leave the challenging and highly competitive Indian IT market due to the problem of piracy, Kasperky is now the fastest growing endpoint security business. The office in Mumbai was set up in 2010. Prior to that, distributors and channel partners were selling Kaspersky Lab products and solutions. Altaf Halde, Managing Director at Kaspersky Lab South Asia talks to RIR about the company's strategy to counter piracy. Some Russian developers, facing the problem of piracy, withdrew from India. What were the challenges your company faced in the early years? Were there any difficulties associated with the piracy and Indian partners? The problem of unlicensed software is a global problem that all software vendors have faced sometime or the other. According to available reports in public domain, 43 percent of software installations were unlicensed at a commercial value of $62.7 billion. In APAC (Asia Pacific Region), India is second to China when it comes to software piracy. While China reported piracy level of 74 percent in 2013, India saw a decline in piracy level to 60 percent in 2013 compared to 63 percent in 2011. Generally, computer users cite risk of security threats from malware as the top reason not to use unlicensed software. And Kaspersky Lab, being a security company, is better off than other software vendors as people would not want to use pirated security software. What is your strategy for educating the local consumers and counter piracy? Our strategy to counter piracy was to make the consumer security solutions (Kaspersky Antivirus and Kaspersky Internet Security) highly affordable – so much so that one can have a one year security software license at less than the price of what a user would have to pay to drink tea for 30 days in a standard restaurant in India. When it comes to security, we believe that no one should compromise on security by using pirated products. I would like to reiterate that Kaspersky Lab has been the pioneer in advocating the use of licensed software in India, and we have been successful in zero-piracy of our solutions at the current moment. Our partners have played an indispensable role in spreading the awareness about the use of licensed antivirus software, and we believe it is an ongoing process. Kaspersky offers the lowest prices in India and China. What enables your company to keep competitive pricing? India is one of the most fiercely competitive markets and pricing is determined considering the market size and competing products. Which companies are your main clients? In the enterprise space, we have a mix of customers from all major verticals, including but not limited to BFSI (banking, financial services and institutions), retail, manufacturing, government, airline and aviation, education, healthcare and SMBs (small and medium-sized businesses). Who are your partners and distributors in India? Zoom Technologies were our first national distributor. Since we set up operations in India in 2010, our growth has seen an upward trend. In fact, until 2013, IDC rated us the fastest growing endpoint security company in India. Today, we operate our business through 5 national distributors, 2 in business to consumer (B2C) and 3 in business to business (B2B), and a network of more than 5,000 channel partners. What is the sales volume in the Indian market? What are the dynamics? Being a privately held company, we do not disclose information related to financial figures. But suffice to tell you that we are among the top 3 leading security companies in India today, both in B2B and B2C. It is quite a significant achievement considering that we have been a late entrant into the Indian market and have limited manpower compared to more than 30 players operating in one of the world’s most fiercely competitive market. Who are your main competitors? What are your advantages over the local suppliers? As I mentioned, we have more than 30 security players operating in the Indian market. Despite that, Kaspersky Lab is rated as one of the most technologically advanced and superior products. Our technical superiority is a clear edge over local competition. What Kaspersky products in demand in India? Kaspersky Internet Security is our flagship product that is in great demand. Kaspersky Pure - Total Security and Kaspersky Antivirus are equally popular in the retail space. In the SMB and enterprise space, Kaspersky Endpoint Security for Business is our most popular solution. We also offer targeted solutions: Kaspersky Security for Virtualization, Security for Linux, Security for SharePoint and Storage servers, and Mobile Device Management. While in the mobile security space, it is our premium solution Kaspersky Internet Security for Android. We also have a very popular security solution for small offices, called Kaspersky Small Office Security which provides protection for up to 25 workstations, 25 mobiles and 3 servers. 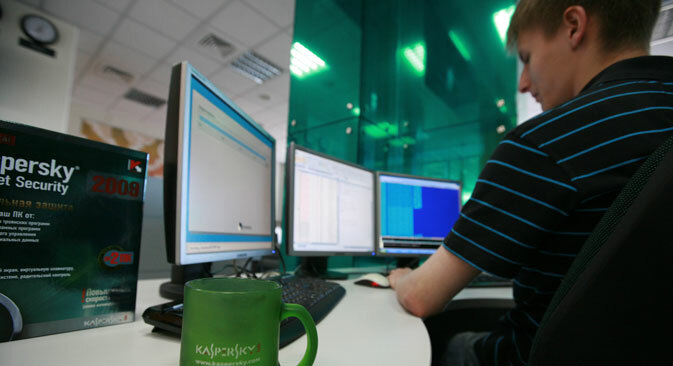 What is the strategy for the further development of Kaspersky Lab in India? Our objective is to keep growing at a healthy pace and continue to increase our market share. We will continue to invest in resources and work towards increasing our channel presence and channel confidence while at the same time strengthen the brand and build on end-user recall and loyalty. We follow the global product roadmap and 2015 will see several key product announcements.